Minions have an Arc node? WHAT! Check out this new Heavy Gator that will be seeing the table near you soon. This is a new heavy kit from Privateer Press for Minions. It can make the classic Wrastler or the new Blind Walker. 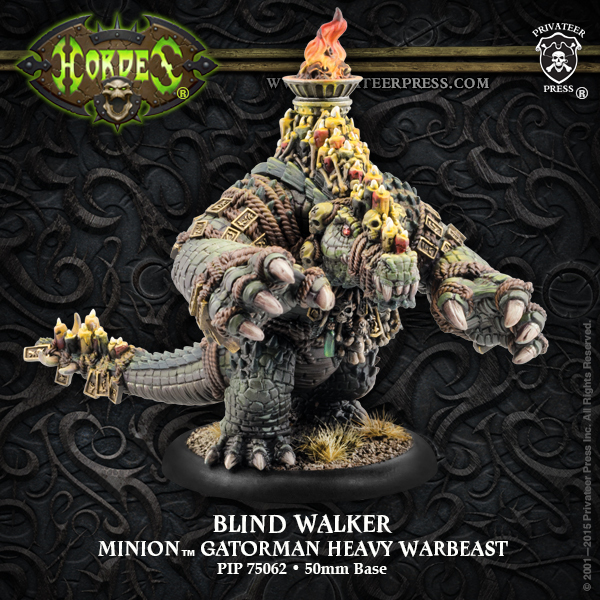 The Blind Walker is a little Pillow fisted but is a tanky beast that most Gators will field since he is so cheap at 7 points. What Does the Blind Walker Do? The Blind Walker has some odd stats. He is only fury 3 and only POW14 with 2 open fists and he doesn’t bite. But, he makes up for this with his high ARM20 and his ability to channel. His Animus cost 2 points and does d3 every time a spell is channeled through him. He has a heavies damage grid so that isn’t to bad news. Another thing the BlindWalker has is the WoldGuardian’s Emphatic Transference. So even if the Blind Walker is loaded up on 3 fury you can still transfer damage to it. Tie that in with a shieldguard and he really can keep your warlock safe. He is only SPD5 so I wouldn’t be expecting him to take place of a Wrastler’s job of killing hard targets. And with only MAT5 he needs to boost to hit most infantry. So consider this before boundless charging and Elasticity this guy up the field. What Works Well With the Blind Walker? Well minions never had an arc node and I am sure Arkadius wishes this guy was a pig. However this does open up some builds for the gator side of things. Instead of having to charge down the field gator warlocks can now play a little safer. Caliban comes to mind the most. Being able to do a long range Hex Blast or Parasite and not having to be within 8″ or 10″ of the model you are trying to hit is a big deal for him. JagaJaga also can now scalp out a model close to a heavy or colossal with deadweight. Which gives her big plays since no colossal wants to forfeit anything and its not like blind and shakeable. Maelok might not be so excited about the arcing venoms but, he likes high armor and the Blind Walker will be no joke to remove during Spirit World. How to Deal with a BlindWalker? Jamming is the name of the game. Gators don’t unjam too well. 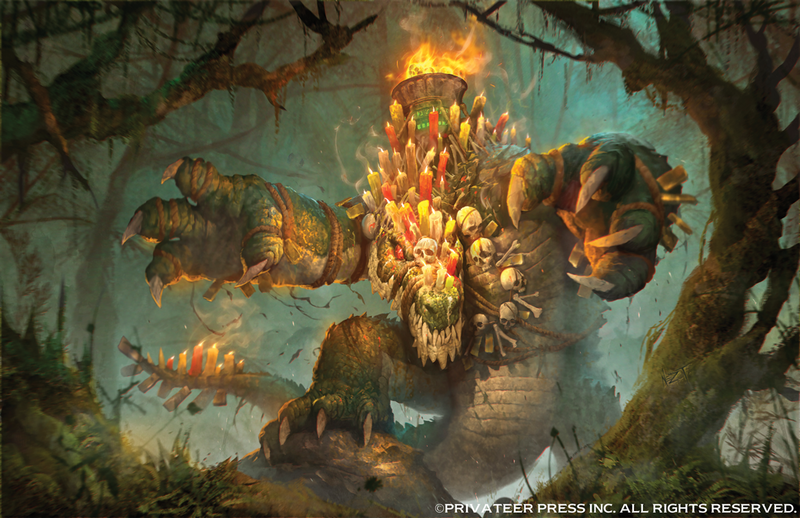 Things like Ragehowling boomhowlers will require Gatormen and Croak Raiders to do overtime to unclog the Blind Walker. He is not a threat to your heavies since of his low melee MAT/POW. So, unless some gatormen or Wrastlers are nearby you should be relatively safe. This kit also makes the Wrastler so magnetize away and get a 2 for 1 with this new great kit. What do you think BoLS of the new Minion Blind Walker? Are you afraid of this new channeling monster or taunting his pillow armed fists? Please share in your comments below.